Raleigh’s weekend-long arts festival was a huge hit! For those of you in the Triangle area, you probably already know that this past weekend, September 15th – 18th, was one of Raleigh’s biggest art community events: SPARKcon! 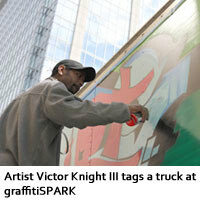 SPARKcon gathers together some of the best local talent in many, many categories, from art and fashion to…..